While MIYABI COAT may be listed as the mainstream glass coating offering from KAMIKAZE, it would be considered the high-end offering from other manufacturers! The low molecular Silane is non-solvent and VOC free like its big brother ISM COAT. With this new formula, it is more resistant to water spotting than traditional glass coatings. MIYABI COAT offers a harder, and more brilliant shine than ISM COAT (ISM has a more wax-like gloss), and is extremely easy to apply and remove. Durability for proper application is expected at 18-24 months. Water repellency is great by itself, but for those wanting the most insane water beading characteristics, we recommend maintaining MIYABI COAT with OVER COAT (sacrificial layer). For those looking for a hard glass coating with a brilliant shine, and one of the easiest to use coating formulas on the market, then MIYABI COAT is the clear choice. WATER SPOT REMOVER. Any and all types of coatings can be prone to water spots in the right conditions, and this exclusive formula is designed to remove deposits left in new water spots without damaging the coating underneath (most water spot removers WILL damage coatings!!). Miyabi delivers great gloss, depth and protection in one. World class product. The price means its at the higher-end of market, thought not the most expensive and is at home for both D.I.Y. and professionals. Would 4.5 stars, balanced rating between cost Vs results. 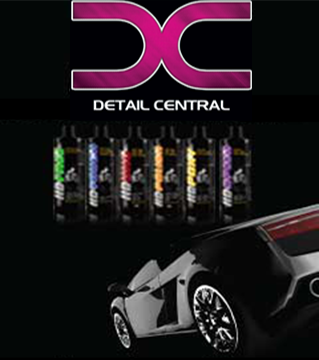 - Like all coatings; prep and application is key. As is buffing-off high spots before they dry, very important. These can be corrected with controlled IPA and re-application, but should be avoided with a proper buff-off process. - The product applies with some minor drag. This helps control the application & should not be rushed. Miyabi should be going straight onto paint, so controlled and smooth application minimizes likely hood of dropping applicator or marring the paint. If you drop it, suggest disposing of that applicator sheet and putting on a new one. - I recommend using an eye dropper to apply product onto the suede applicator and cutting slits on the foam pad to insert the ends of the applicator, making it easier to use. - Smell/fumes of the product are very low to non existent. However, safety as always, gloves a minimum. - You should get 4 to 5 cars from this 30Ml bottle. The difference between this coating and every other consumer available coating is like the difference between waxes and sealants. So easy to apply, easier to remove, amazing gloss and water behaviour is 10/10. The Miyabi Coat by Kamikaze is an awesome product. I applied it to my brand new 2016 Mustang GT and I'm blown away at the finish and shine I've achieved as a result of all my hard work. While time consuming, the product itself is quite easy to apply to the paint, although it's slightly difficult to see where you've applied on darker coloured paints if you don't have sufficient lighting when applying - so make sure you have some very good lighting when applying. I experienced no issues and the car is looking great! So easy to use. Not as tricky as some coating can be. And the end results is unreal! Why use anything else. Used this for the first time and it was very easy to use. No high spots - the end result was amazing with amazing shine. Myabi is a fantastic product goes on so smooth basically anyone can apply it. The results are even better!